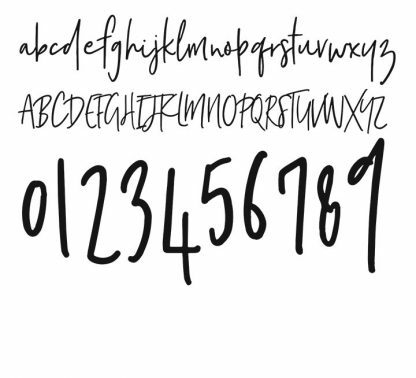 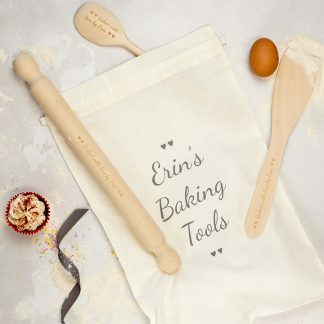 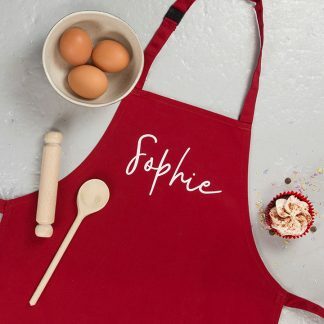 A simple stylish personalised apron, available in lots of beautiful colourways. 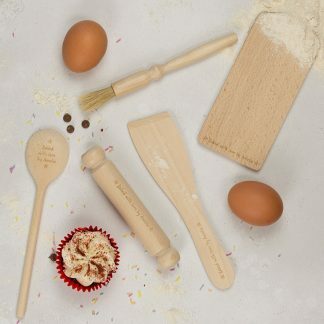 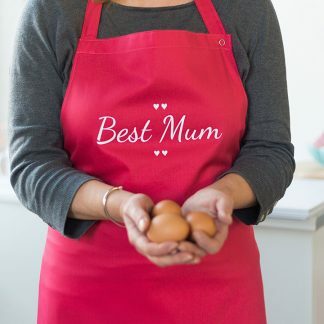 A great gift idea for a variety of occasions from Birthdays, Christmas, Mothers Day or just because…. 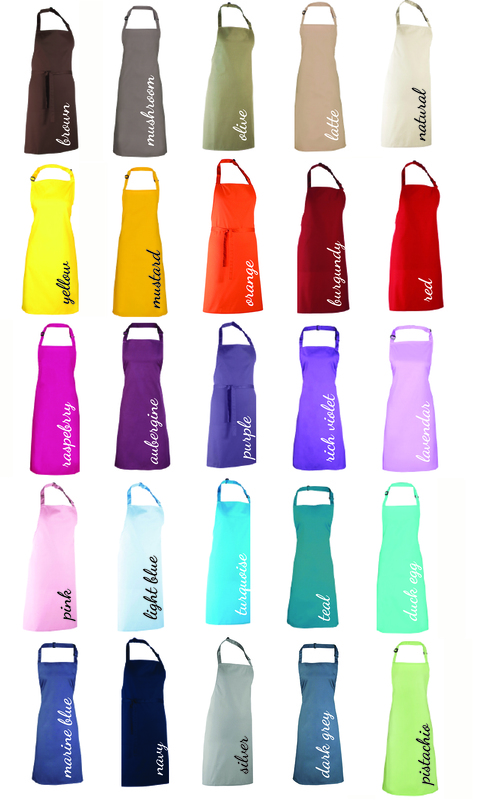 Choose your apron colour from the swatches shown in the image and your chosen text colour from the drop down box. Neck halter is adjustable. The apron in the image is red with white text. 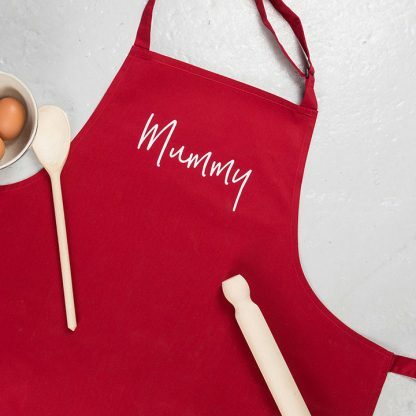 We have matching child sized aprons available.